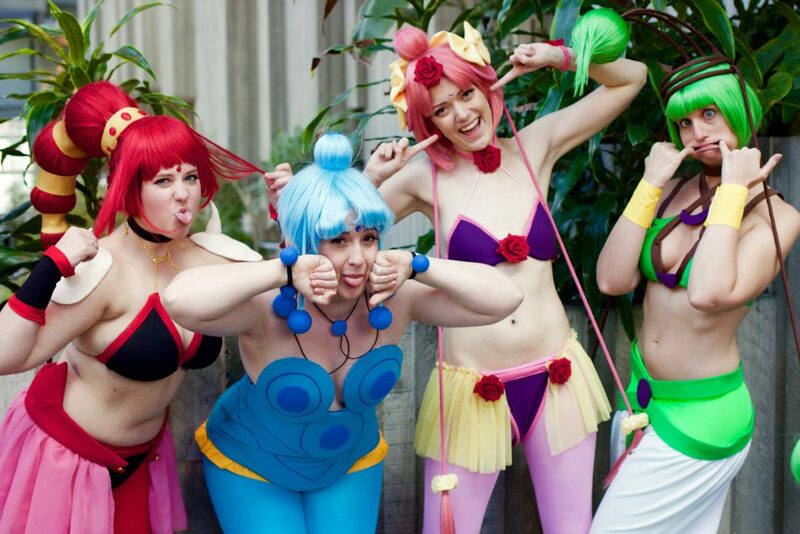 CereCere: Amazoness Quartet (Sailor Moon) - Hello, Kristina! This costume had its ups and downs for sure, but looking at the pictures – it’s gotta be my favorite group costume I’ve ever been a part of. It’s so colorful and so weird. And those wigs! 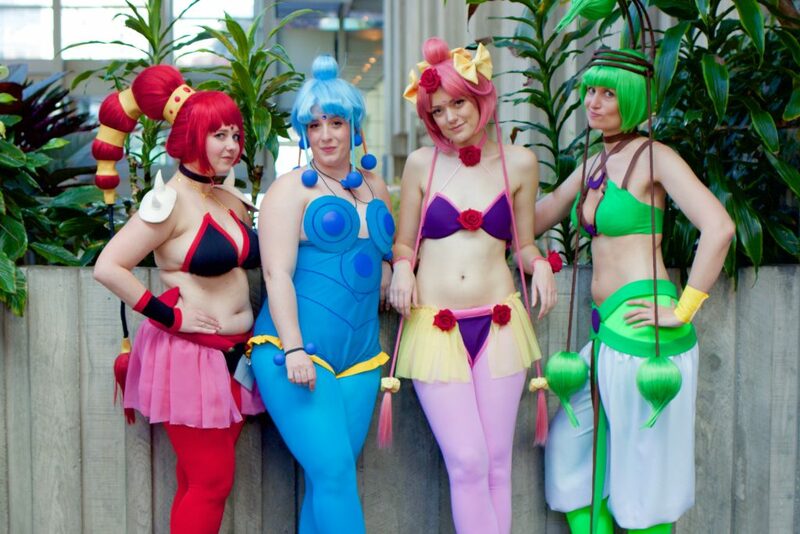 This is the Amazoness Quartet from Sailor Moon Super S – they’re villains from the Dead Moon Circus and this cosplay has been a dream of mine for a long time. I somehow convinced my friends to do it with me. The pros: We look awesome. The colors are great. I’m pretty sure we all learned something new with some piece of each of our costumes. 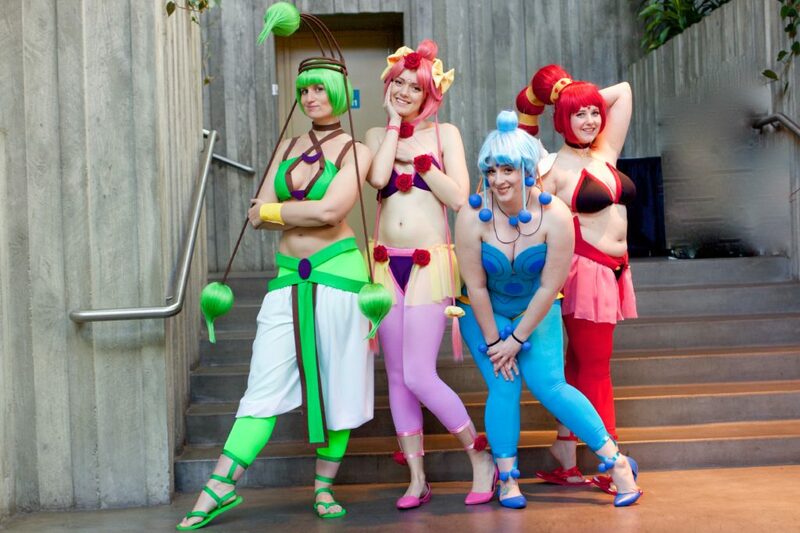 People were delighted by seeing all four of us walking around at SakuraCon. 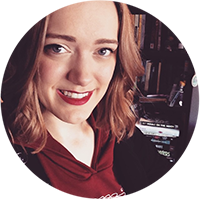 The cons: Everyone’s costume was uncomfortable or heavy or precarious or sticky or breaking in some way at any given moment during the day. We also wore these to a con in March so we were freezing. Also I got sick the say before the con, so you can’t tell (somehow, magically) but I am dying in all of these pictures. But we pulled it together, and I’d say we did a pretty stellar job. 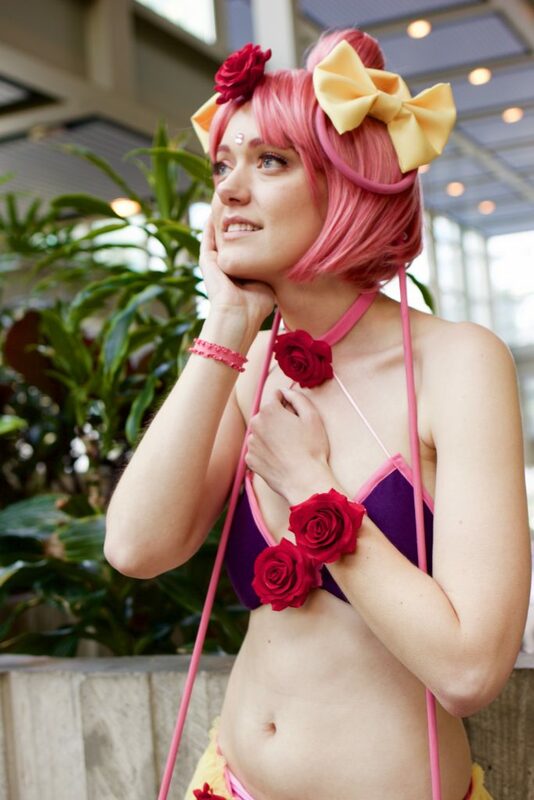 Now to reattach all the roses that fell off of my costume and wear it again sometime when it’s not winter.